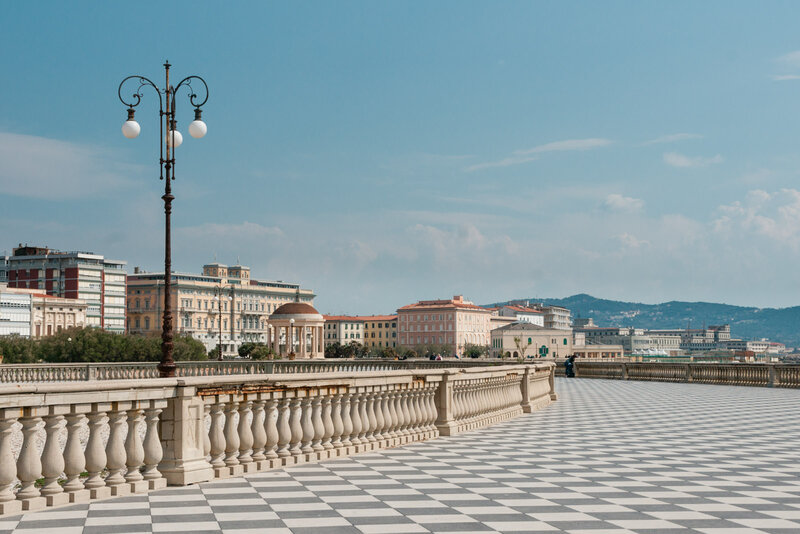 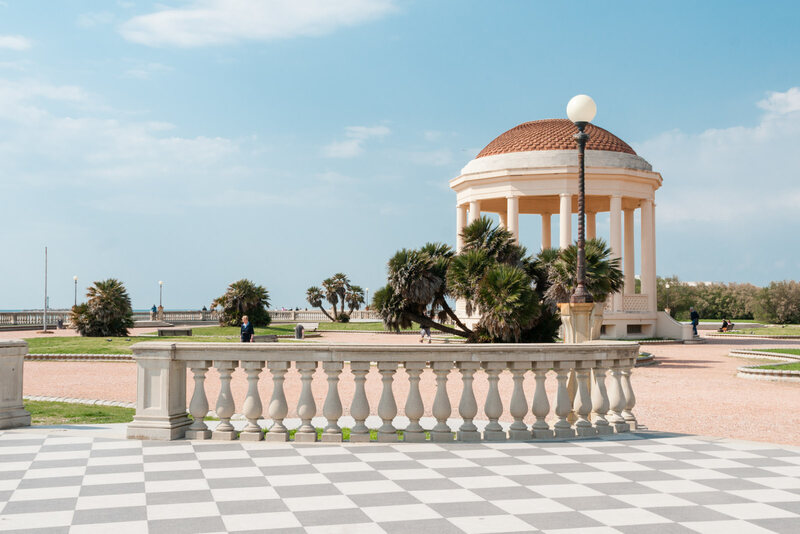 The Terrazza Mascagni at Livorno’s seaside is a beautiful belvedere. 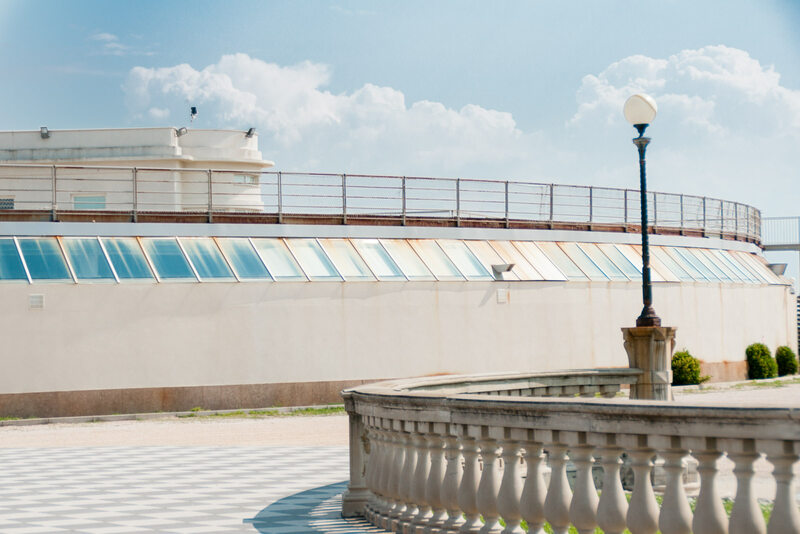 A walkway which follows the outline of the sea with numerous balustrades. 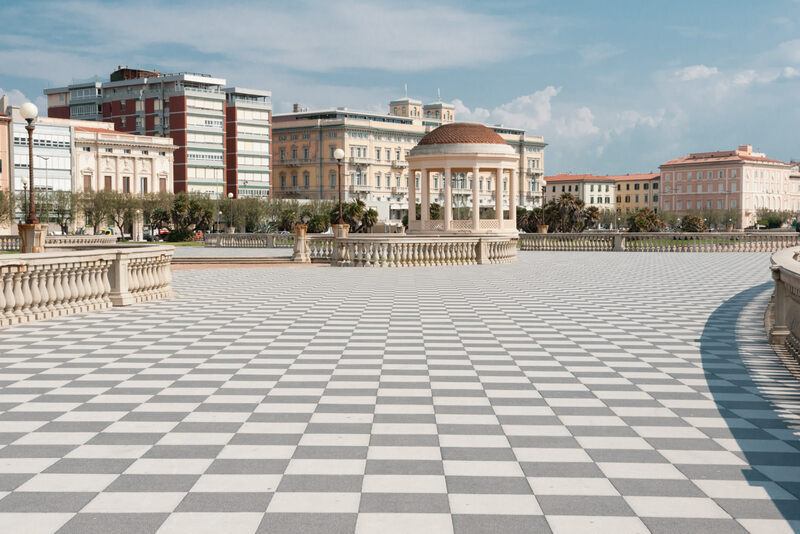 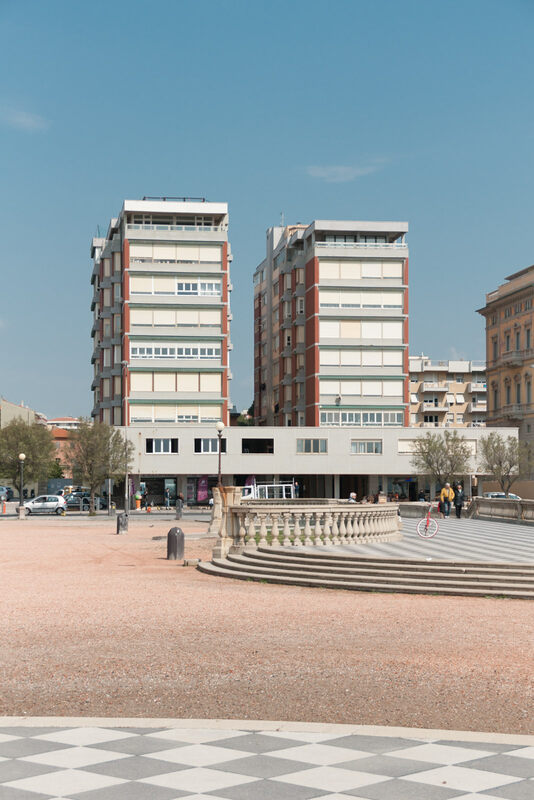 The Terrazza has a paving surface of 8,700 square meters formed by 34,800 black and white tiles placed as a checkerboard and 4,100 balusters The Terrazza underwent a complete restoration in 1994 using the same kind of material originally employed; the works were completed on July 10, 1998 with the reconstruction of the “Gazebo for the music”[Wikipedia].